A number of years ago after coming off tour I found myself with a real urge to watch Mad Max 2. Perhaps it was my experience of two weeks on the road (often driving) that gave me the desire to revisit so much automotive carnage. Almost immediately one of my first gestures was to head into town and pay over the odds for a copy of the movie on DVD. It had been a few years since I last saw the movie. Indeed the first time I saw the film was around the age of eight when I hired it on VHS from our local video store only to sit down to watch it with my best friend Aaron who cried off the viewing early on as he was horrified by it. I watched it on my own the next morning as was amazed. Was this where the world was heading? 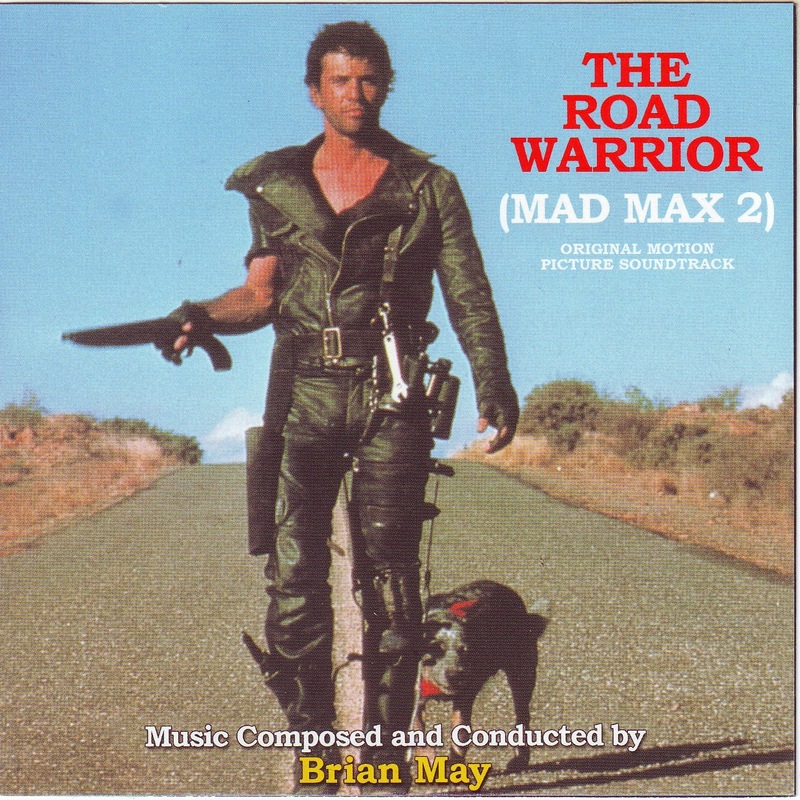 The Brian May score on Mad Max 2 was always an imposing thing. To be frank it always felt too high in the mix, too loud in the crowd. Mad Max 2 (aka The Road Warrior in America) was never going to be the most quiet or sedate of movies but somewhere down the line it was decided there needed to be more, the effects required additional sonic assault. Enter Brian May. Even though guitars feel heavy, the score here is very orchestral. This is not the full on hard rock action of Flash Gordon; this is serious music, the real deal. Quite frankly you only know it is conducted by the guitarist of Queen via the credits. And then you discover: it is a completely different Brian May. Soundtrack fans are the music equivalent of tourists. Mainstream ears suddenly pick up on classical gestures and nuances. With the mental music video of a movie in their mind the shapes of the composition (the posh word for song) add an emotive level. The second track is entitled “Confrontation” and as menacing strings swoop in you cannot help but envisage Mel Gibson getting pounded by Australian desert punks. Throughout there is a level menace attached to the eight tracks (ahead of a ninth track of fun special effects). With “Marauder’s Massacre” a beautiful piece of work is given an ugly name as the vibrant direction changes encapsulate somewhere blood being spilled. The frenetic movements are jagged in design done to keep and match up with the noted harsh editing of the motion picture. 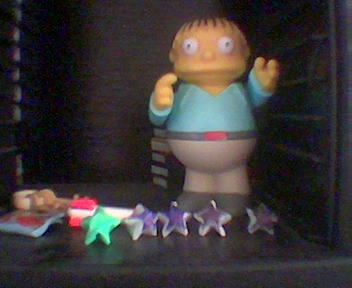 And then it all ends with a menacing rattle. This was the future. With track nine all hell breaks loose as earlier composition “Break Out” is mixed into an “SFX Suite” designed to display how sound effects were used in the score as in essence instruments. These wonders include the anarchic gems “Boomerang Attack”, “Gyro Flight”, “The Big Rig Starts” and “The Refinery Explodes”. To incorporate sounds in such a method was groundbreaking. I must concede the liner notes by Tom Null cannot be topped with his comment: “the music is suffused by a profound melancholy for the losses mankind has sustained”. Offerings from this album later appeared in other movies including The Terminator.